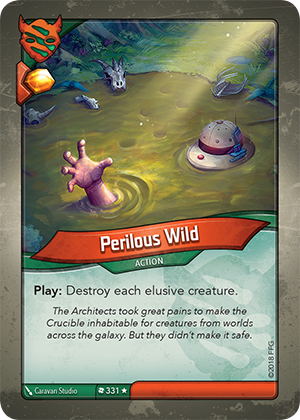 Flavor text The Architects took great pains to make the Crucible inhabitable for creatures from worlds across the galaxy. But they didn’t make it safe. Does this affect only Elusive enemy creatures? This is affects every Elusive creature, including your own.